This has been bothering me for several episodes.. I finally decided to Ask ! In case the creatives visit this forum.. I WANT TO KNOW! What the heck happened to SHARON falling for REY???? I thought she said she was falling for REY back in MAY.. We are now in the month of AUGUST!.. Everyone wants to know if Creatives as usual are suffering through AMNESIA??? Omg we are so similar...I was thinking the same thing. I mean how can Sharon forget Rey (not that I care, but realistically its weird). 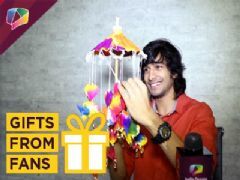 I hope its the attention Swayam is giving her that she is forgetting Rey. Because Rey has only been a good buddy, nothing more and has shown no romance towards her.